In this writer's opinion, college football stole the NFL's thunder last weekend. There were several marquee matchups in college that helped shape a potential playoff field. The NFL Week 10 schedule was rather blah. Things are flipped this weekend for sure. It's a ho-hum NCAA schedule at best but a terrific NFL slate with a handful of games with playoff ramifications. There was Thursday night's matchup between the Titans and Steelers, as well as Rams-Vikings ( which I previewed here at Doc's ), Redskins-Saints, Patriots-Raiders and Eagles-Cowboys. And Week 11 closes with an excellent Monday night matchup from Seattle between the Falcons and Seahawks in their third meeting in 13 months. Entering Week 11, defending NFC champion Atlanta (5-4) was two games behind New Orleans in the NFC South - those two teams haven't played yet. The Saints are -145 to win that with Carolina (7-3) at +175 and the Falcons +400 to repeat in the division. I'm not seeing that, although after Monday the Falcons have just two road games left and one is at hugely disappointing Tampa Bay. It's probably wild card or bust for Matt Ryan and Co., and they sit seventh in the NFC right now, one spot behind Seattle (6-3), so this game could be huge in terms of a tiebreaker. BetOnline has playoff specials and the Falcons are +145 to make it and -175 to not. In the NFC West, the Seahawks are a game behind the Rams (7-2), whom I think lose Sunday in Minnesota. Seattle currently holds the head-to-head with the Rams, and they play again Week 15. The Seahawks alternate road and home games the rest of the way, with tough ones (in addition to Rams) in Week 13 vs. Philly, Week 14 at Jacksonville and Week 16 at Dallas - when Ezekiel Elliott will be eligible again. Seattle is -220 to make the playoffs and +175 to miss. Seattle has a minor advantage here in that it played last Thursday and won in Arizona, 22-16, but the team suffered a ton of injuries in that one - none bigger than All-Pro cornerback Richard Sherman. The likely future Hall of Famer, at least if he plays at a high level a couple of more years, is done for the season with a ruptured Achilles tendon. Sherman is probably the key to that stellar Legion of Boom secondary because he essentially eliminates his half of the field. Quarterbacks generally don't throw his way these days, even if Sherman isn't quite what he was two years ago. This will be the first game the 2011 fifth-round pick (steal!) will have missed. Sherman's 32 picks are six more than any player since he arrived in the league. Seattle has ranked first overall in opponent passer rating, total yards and passing yards allowed per game in that span. It's the second straight year the Legion of Boom was hit hard by injury. Last year, another potential Hall of Famer, All-Pro safety Earl Thomas, broke his leg in early December, ending a streak of 106 consecutive starts to begin his career. Seattle's pass defense was not the same without Thomas, either. Incidentally, Thomas has missed the past two weeks with a hamstring injury but is set to return Monday. Fellow safety Kam Chancellor, another stud, is iffy questionable with a shoulder injury. Finally, left tackle Duane Brown, just acquired in trade from Houston, also left the Arizona game with an injury and he's questionable. That could be huge because Falcons defensive end Adrian Clayborn had the game of his left in last Sunday's 27-7 win over Dallas with six sacks (one shy of NFL record). Atlanta likely will be without two-time Pro Bowl running back Devonta Freeman on Monday after he suffered a concussion vs. Dallas. Freeman is an excellent player, but I don't think that's as big of an injury for this game at least because the Falcons have a 1A running back in Tevin Coleman. I would expect Matt Ryan to throw more. It's a bummer we won't see Julio Jones and Sherman go at it as that's one of the best individual rivalries in the sport. In four career games vs. Seattle including playoffs, Jones has 30 catches for 392 yard and two scores. 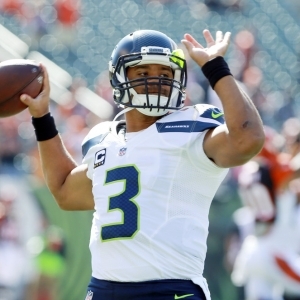 At 5Dimes , Seattle is a 2.5-point favorite (-120) with a total of 44.5. On the moneyline, the Seahawks are -145 and Falcons +125. On the alternate lines, Seattle is -3 (+105) and -2 (-125). Atlanta is 3-6 against the spread (1-4 on road) and 3-6 "over/under" (2-3 on road). Seattle is 3-5-1 ATS (1-3 at home) and 3-6 O/U (2-2 at home). The Falcons are 4-0 ATS in their past four on Monday. They are 6-13 ATS in their past 19 following a win of at least 14 points. The Seahawks have covered eight of their past 11 on MNF. They are 4-1 ATS in their previous five vs. teams with a wining record. The under is 4-0 in Atlanta's past four vs. teams above .500. It's 6-0 in Seattle's past six vs. the NFC. These teams split last year, with Seattle rallying for a 26-24 victory at home - Sherman probably should have been called for pass interference on Jones that would have extended Atlanta's drive in the final minute, but he wasn't. In the divisional round of the playoffs, the Falcons rolled 36-20. Ryan threw for three scores and at least 300 yards in each game. The Falcons remind me of what the pass-happy Saints used to be: Not good outside of their dome. Atlanta's only road cover this year was in Detroit, which of course plays in a dome. Yes, the Seahawks are beaten up, but they also essentially come off a bye week. That's enough for me to give the 2.5 points. Go over the total.